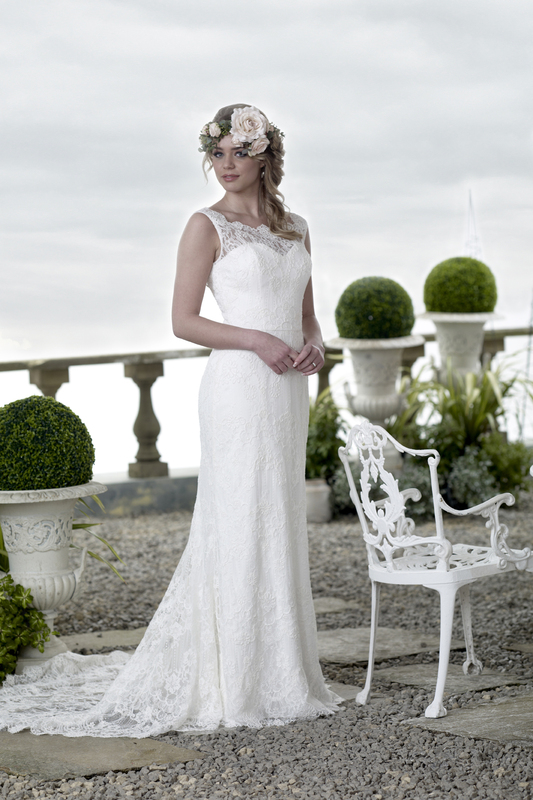 One of our new favourites, River has an unique horizontal pattern repeat in the lace that creates simple interest. Cut to sit on the waist, this sleeveless design has a high lace front neck, made from our new super soft and fluid satin this dress is light and very comfortable to wear. 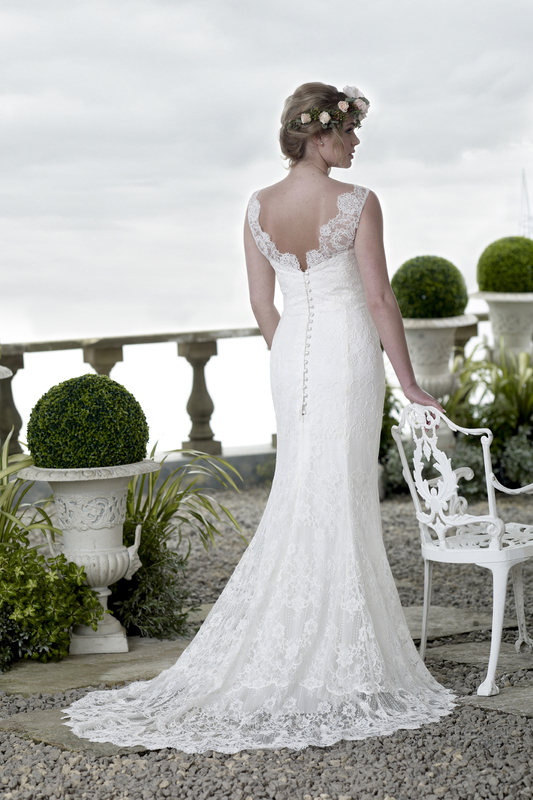 As you glide past your guests they will be in for a treat when they see the stunning lace train and plunging back neckline.